Varna, Bulgaria - February 02, 2015: Google Gmail App On The.. Stock Photo, Picture And Royalty Free Image. Image 49200376. 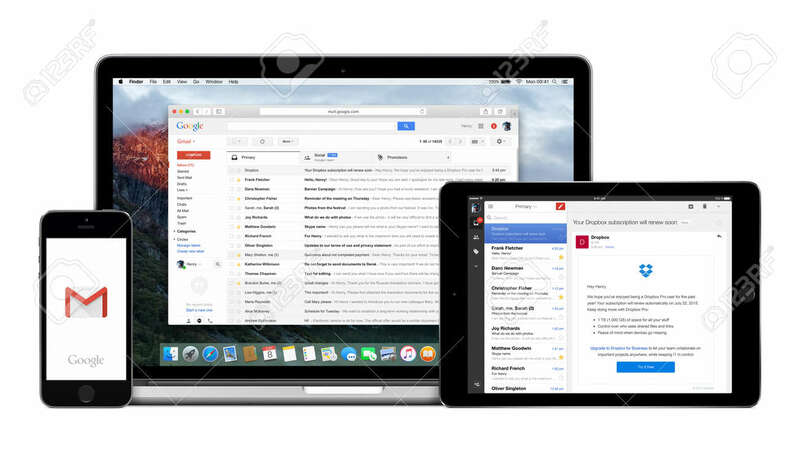 Stock Photo - Varna, Bulgaria - February 02, 2015: Google Gmail app on the Apple iPhone iPad displays and desktop version of Gmail on the Macbook Pro. Gmail is a free e-mail service. Multiple devices kit. Varna, Bulgaria - February 02, 2015: Google Gmail app on the Apple iPhone iPad displays and desktop version of Gmail on the Macbook Pro. Gmail is a free e-mail service. Multiple devices kit.